OMGoodness, did you see all the beautiful things yesterday and today? I am so awestruck and a little apprehensive about posting my things today but, here goes. Here it is day 3 of the "Leafs Me Happy" Blog Hop. Can you believe there are over 100 of us showing off our handmade goods? Amazing and all because of 2 very talented and organized ladies! I am so happy that Madame Samm designed this blog hop and that Cherry organized it all and is hostessing it. Thank you both for all of your hard work just to make it fun for us quilters, stitchers, sewists, and bloggers. I may have gotten a bit carried away but with Steve gone but I was in full sewing mode! Which turned into a bunch of "Celery Leaf's"
It is most important to have a place to store the tools. 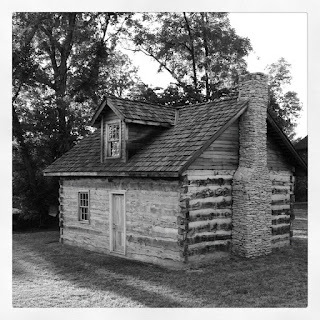 In a few days I will post some pictures of what we will be living in on our very own piece of land in the Ozark Mountains! Thanks for coming over and visiting and for taking your time to look at all the pictures. I just had to show off what all I had done. Since you were patient and made it this far, how about a giveaway!!! I will put together a bundle of 6 fat quarters of fall fabric for one lucky winner. 2. An extra entry if you become a follower of my blog or if you already are. Leave a comment. That's all you have to do to get 2 chances to win. I will draw a winner after midnight October 10th. LeafyGreen at gmail dot com. I have to have a way to contact you if you win. Be sure you stop in and visit all the talented people participating along with me today and all the others over the next 7 days. Here is today's list of participants. or over at Cherry Blossoms Quilting Studio. and you will "Leaf Me Happy"
I must "Leaf" you now as I have Halloween paper piecing to do! 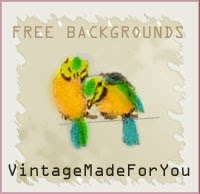 Lovely photos full of inspiration for color and design. So much eye candy here, but love the ka'leaf'ascope blocks - goig to be a beautiful quilt. Wow you have been busy I love all of your projects. What a wonderful place to live too! My favourite autumn colour is yellow (probably because its my favourite colour anyway!). Thanks for sharing. Jees. How did you get all those blocks done? Did you not sleep for two months? They all look amazing. My favourite is the celery leafs. They still have a hint of spring in them, to remind us that spring will come again! They look amazing. I loved the pictures of the mountains too. How lucky are you to live in a place like that! My favourite fall colour..... It has to be red. Wonderful blocks! I especially like the kaleidoscope ones! My favourite Autumn colour is red! Your blocks are wonderful! I love two fall colors...yellow and orange. Since I live in FL, I miss seeing all the autumn colors....paint me with a sad face. wow so many great things! The Kaleidoscope are amazing. I love these pattern but never try it myself yet. Cheers for your "leaf piles" and "celery leafs". Your photos are great; love the Fall colors which I don't get in southern California. My favorite is orange-red (red-orange?). swalker287 (at) aol (dot) com. I love the rich dark purply plum colors of fall as they make the other fall colors 'pop'! i so enjoyed your many photos this morning, so inspiring!!! I love the orange color of fall. Your photos are beautiful and such colors. We will never get such colors in Sweden. And you have really been very busy creating all these fancy and beautiful blocks.Thanks for a great give away. picture heavy but worth every view. Wow. You sure have been busy. All of them are great. My favorite fall color is burnt orange. Thanks for sharing all the lovely photos. My favorite fall color is orange. And thanks for the chance to win. My favorite fall color is orange. Thanks for sharing all the gorgeous pictures of scenery and quilty things! WOW! You went on and on and on! What a great show of blocks. 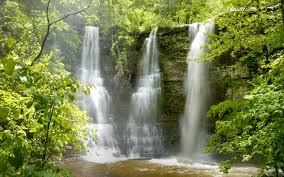 Thanks for the pictures of the Ozark Mountains, what a stunning area! I love you toolshed, bright and yellow on your own patch. My favorite fall color is redbrownyellowishgoldenorange. What beautiful pictures!! Love the tool shed! My favorite fall color is the orangey-red~but they are all beautiful! Your scenery is gorgeous! No wonder you were so inspired to make all those beautiful blocks! I especially love the kal-leaf-oscope blocks! Oh, I am already a follower! those kaleidoscope blocks are great. Your blocks are lovely and the photos of the Ozarks are beautiful. My favorite fall color is pumpkiny orangey! My favorite fall color is Plum. I'm a new follower. Thanks for the chance! Favorite fall color?? It is tough to pick just one because it is the combo that I love so much, but I will say vibrant, golden yellow. I am a happy follower of your blog! Thanks for the chance to win! What a very busy girl you have been. Beautiful work. Thanks for sharing it with us today. Right now I am into Burgundy as I am decorating my house. Thank you for sharing all of your wonderful work with us today! Burgundy is my favorite color right now as I am busy decorating my house. Thank you for sharing your wonderful work with us today. I am a new follower...thank you for the great giveaway!! Your blocks are all gorgeous, Jeanne. I love that ka-leaf-ascope idea. Very pretty and of course so are the log cabins! I would have a hard time choosing one favorite fall color, but guess maybe red? Or maybe orange? Or maybe green???? Hmmmm. I'll go with golds. Beautiful blocks. Ka-leaf-ascope is just so cool! Favorite fall color is the deep burnt orange. And yes OMG girl..you love orange and fall and blocks and kaleiscope and great pics..yes sew glad you played along with us...what a great end to our day .. WOWZA!!!!! You were busy!!!! Love the colors!!!! I think all the colors you used are my favorites!!!! Well beside oranges I love the almost eggplant hue!!! Love the cabin you will be getting!!!! 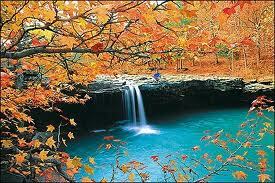 I would love to visit the Ozarks!!! Love the pics and Thank for the fun!!!! How can I pick just one color??? The reds would be followed closely by the golds! I'm loving the colors you used! The kaleiscope blocks are awesome! love them! Loved the pictures! Red is my favorite fall color. Wow, you have been SOOOOO busy! My favorite fall color is the bright orange red that some of our local maples display this time of year; that color reaches something way down deep inside my soul! red orange is fall to me. Ilove your blocks.Thanks for sharring. I am a new follower. I am looking foreward to seeing your next 2 blog hops. The deep orange so dark that it is almost brown is lovely, we do not see it much in the UK except on Horse chestnut leaves some times. loves the reds and purples in some of the leaves. OMG what a busy lady. Love all your blocks. The kaleidoscope are wonderful. I love the combination of all fall colours together. I love the bright orange leaves. Wonderful projects looks like you will be busy with them for a while. Your log cabin blocks are perfect. Don't you just love the colors of fall... You also did a beautiful job with the Kaleidoscope, love the colors. Are the pictures of the lake you go to?? Beautiful!! Jane, you are too kind. There is such a funny story behind all the blocks I made. When I first starting "quilting" I thought I knew enough about sewing that I didn't need too much instruction. LOL I didn't know "beans" about anything. All of those poor blocks were all differnt sizes, one turned this way and the next the other way, it was a horrid mess and I nearly threw them all away. About a month ago, I drug them out of the hidey hole and took them all apart and started over. Oh have I learned alot in three years, even how to quilt with a longarm. But thank you so much for your kind words!! Wow!! You sewed up a storm while he was gone!! All your blocks are amazing!! My favorites are last ones you showed!! Thanks for sharing with us!!! Oh wow, everything you showed including the pictures had such beautiful colors in them. I think my favorit fall color would be the golden yellow. Thanks for showing all you talent. I happy follower number 166, I think that is going to be a lucky number. Thanks for hosting a give away. A lot of work, Thanks for sharing. My favorite fall color is red orange. Oh what a treat all those kaleidiscope blocks are--love them! Thanks for hopping with us! Wow, were you working on all that since LAST fall?!!! My goodness but it is all so beautiful! How can a person pick one favorite fall color? I love all the different rich jewel toned colors of autumn. What a wonderful time of year to be inspired to create! Robin, actually, I started sewing the first ones on Sunday and finished that last set last night at 7:00 pm. I am definitely in a sewing mode and am going crazy sewing today too. I also just designed my first pattern and have fabric cut to make it. Anxious to see how it works. Thanks for your nice words. Holly Cow! I don't know where to begin. I can see that your surroundings have really motivated and inspired you. Your blocks are fantastic as are your gorgeous pictures. My favorite color is yellow and it's especially dominate during the fall. From California, thanks for sharing. Wow , what lovely projects , did you sleep at all ? Just beautiful !! My favorite color for fall is the peachy orange , but I love all colors of fall and your photos are incredible! !I am a follower. What great projects! I love the magenta colour some of our maple leaves turn near my house. Thanks fo rthe chance to win. I love the sight of scarlet leaves against the brilliant blue autumn skies! Love all your "leafy" projects, log cabins and kaleidoscopes are some of my favorite patterns! Gorgeous colors. Love the blocks. You are industrious. Thanks for the opportunity on the draw. Bonnie you are the winner of the giveaway Congratulations and thank you for your nice words. I will email you in a bit. you have been busy creating some great blocks. I think my favorite fall color is orange even though I am not a big fan of orange. Just like it at fall time. Your stack and whack blocks are wonderful. Great inspiration. Your Ka'leaf'oscope is just wonderful. I love all the fall colors, but am partial to all the reds. I love the accent of orange that are so common in fall quilts. Thanks for sharing. Thats a hard one......I love all the fall colors. IF I have to choose, I'm going to go with orange. Thanks for sharing and the opportunity to win. Beautiful blocks, you were quite busy! Thanks for being part of the "Leaf me Happy" blog hop. My favorite fall color is rust. I am a happy new follower of yours. Favorite Fall Color? Burnt Orange. Definitely. Wish we had leaves that turned out here in CA. I like the Burnt Orange some Maples turn. Thanks for the chance at your giveaway. ohhhhh.....the deep gold of autumn is my favorite color. No, wait - the purpleish red that only mother nature can make. Uh oh...and then there's that light orange......I have to pick just one? Will be fun to see what happens near your tool shed. What a fun entry. Love all your pictures of fall and your projects. I think I love the deep red combined with orange. I have to say my favorite fall color is burgundy. I Love all of your projects and the falling leaves blocks are awesome. I am now a follower of your lovely blog. Wonderful blocks.Love fall color and choose only one is hard so I`m gong with rust one! Of course, I`m a happy follower.Thanks for the chance!! Hi Jeanne, boy you have been a busy girl!, hehe I'm glad you had some time to sew. Loving all your blocks but your Ka'leaf'oscope blocks are amazing! Love the colors you used. My favorite fall color is orange, although it's hard to have just one. Thank you for a generous giveaway and a chance to win. I'm a happy follower! Love your new blog look. Hope all is well. I owe you an email, so be on the lookout, hehe. Thanks again for a chance to win some pretty, pretty fabric. Rosemary B here: your blocks, all of them, are just amazing! My favorite fall color is orange, bright orange. I love a combination of deep rich red, sunburnt yellow, and moss green! Thanks for the chance! I am already a follower - thanks for a second entry!!! Great post! Love every one of your blocks. Wonderful. My fav fall colour is all the shades of orange. My goodness, your Ka'leaf'oscope blocks are my favorite, too. All the blocks were wonderful but those really caught my eye. I thoroughly enjoyed the fall Ozark pictures; thanks. My favorite color - if I have to choose - would be the bright reds like the Sumac turns. Aren't they all just gorgeous, though? I'm a new follower. Here's to jumping in Leafs!! Orange, rust, browns....love them all. Love your post. I really like the orange and yellow. Loved all your blocks. Thanks for being part of the hop. I love red leaves and plants in the fall. Wow have you been busy! Your leafy colors are just wonderful! Pretty pretty blocks. My favorite fall color is orange. Wow! Fantastic, beautiful projects!! I love all of them! Thank you so much for sharing your beautiful work & inspiring us today!! I'm a follower. I forgot to say my favorite fall color is that burnt red color. Wow!! You will have amazing quilts! My favourite fall colour is deep red. I love that rainbow of colors you have there. So awesome. I love the orangey reds. My favorite fall color is orange...it is such a happy color! What neat blocks.....have you been having fun! 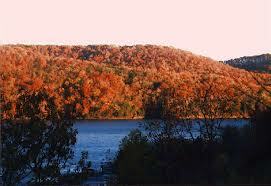 Beautiful photos of the fall scenery in the Ozarks and I can't wait to see more pictures of where you'll be living. My favorite fall color is orange. You know that color that's hard to describe - somewhere between a deep red, an orange, with a little yellow thrown in there? Yep, that's my favorite fall color - awesome! I'm a new follower - love your 'Ka'leaf'oscope of beautiful fall colors' blocks. Love your blocks! My favourite fall colour is red! Nice and bright especially when it's leaves and the sun is shining on them. Thanks for sharing. 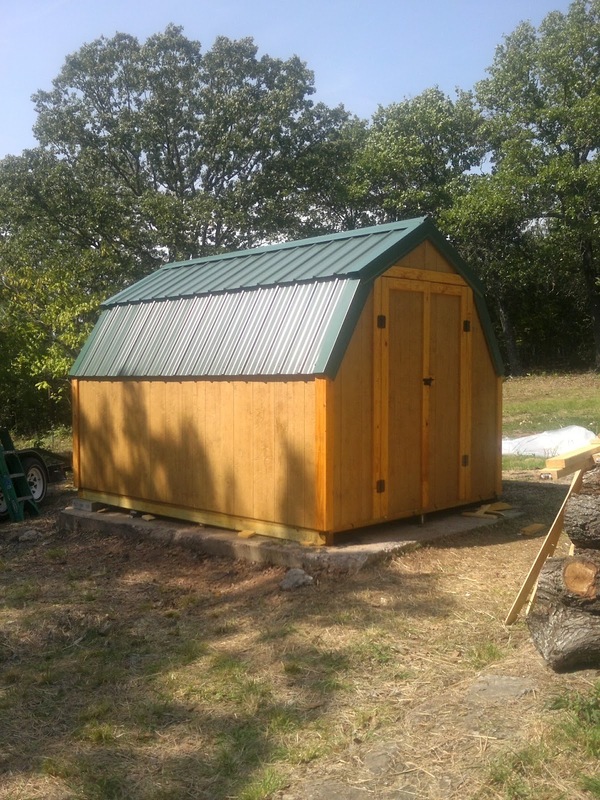 Love the shed, favorite fall color is orangey red(??) Love your blocks. Thanks for the giveawy. OMGosh!! Your work is spectacular!! I love every colour autumn puts before us but my favourite is the golds offered to us. Wow your blocks are wonderful snd fall is my most favorite time of the year so your photos r just awesome, thanks for sharing...Orange is my very favorite color for fall..
My favourite fall colour would have to be the vibrant red that our maple trees turn to. And yes, I'm a follower. Thanks for the chance to win. That rusty red only found in fall is my favorite. Nice quilt blocks! I'm partial to red-orange in the fall. What great blocks...love those colors and fabrics! My favorite Fall color is red. Thanks for sharing and for the sweet giveaway! Love all the fall pictures. This is my favorite time of the year and the fall color I like the most is burnt orange. I love the Ka'leaf'oscope that you've created. I'm a follower too. Thanks so much for sharing. Wow! So many beautiful blocks! My favorite fall color is rust, a much softer and harmonious version of orange. Thanks for the chance on your giveaway! Leafing you a leafy comment! I love orange/yellow! Thanks for the giveaway! Very difficult to say what fall color I love because I love them all, but if I have choose one its the pumpkin color. BYW I love your autumn blocks. I love your kaleidoscope blocks, they look just like a bunch of swirling leaves. My favorite Fall colour is deep yellow. Hiya! I love all your work, so pretty. My favorite fall color is yellow gold, the color that ginko leaves turn. They are so beautiful. Thank you for sharing all your lovely work with us, and thank you for having the giveaway. Blessed be, hugs!!! Hiya! I am a new follower, can't wait to see what you have next. Thank you for having the giveaway. Blessed be, hugs!!! It is so hard to pick just one color of fall. I like the leaves that are translucent, the orange ones, the red ones, I guess all of them. I'm a new follower. You sure have been prolific while hubby was gone. All stunning projects! I have a difficult time picking a favorite. I gravitate toward pastels, so I had a tough time picking a favorite fall color. My first thought was navy blue. I consider that a fall color. If that isn't considered a fall color, then I'd say red. Jeanne, your blocks "leaf" me amazed! Wow. You were definitely in full on sewing mode. lol Love what you have created - especially the kaleidioscope blocks. They're truly stunning. Whoa! How many quilts did you get out of this post?!?! That is amazing :o) I can't decide which ones I like the best, they are are so cool. Thanks for sharing and hopping with us!!! Well, your photos are just gorgeous, both the Ozarks and the quilt blocks! My favourite fall colour is orange. very pretty thank you for the inspiration! I love your kaleidoscope blocks! They look awesome. I am a new follower of your blog. Thanks for another chance to win the blog candy. Well I think this year my favorite Autumn Color is orange. I have strecthed myself and working in several shades of it in the last month or so. Thank you for sharing with us and the chance to win the 6 FQ's. Oh forgot to say I'm also a follower. Thanks again. Definitely rusty orange. I just came thru the Ozarks a few days ago on my vacation and it was beautiful, but still very green. Won't be long til the trees are those gorgeous colors. My favorite fall colors are the reddish tones that are on my maple trees. My favorite fall color is definitely orange! Bright red leaves are my favorite source of fall color. Thanks for asking such a fun question--it's great to read everyone else's "favorites". I follow you, my friend. I love your projects. And i too am waiting for the log cabin, but i haven't even gottn the shed, so you are ahead of the game. That's exciting about your new place! I guess orange is my favorite color, too! 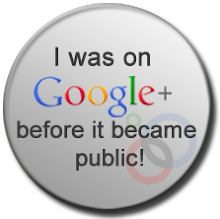 Now I'm following you with Google Reader!